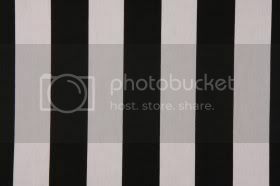 Need a bold black and white stripe fabric? Then this is it! 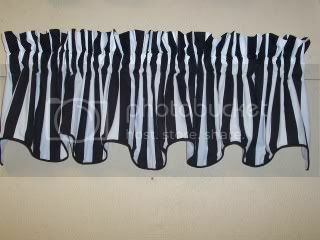 A heavy weight cotton from Premier Fabrics, this is a great looking black and white awning stripe fabric. Shower curtain measures 72x72 with weighted hem, buttonhole top and is pattern matched at seam.